Since the dawn of time, human beings have used sound to receive information from their environment, to communicate with each other, and to create altered states of consciousness. I offer one-to-one sound healings from my home in New Brighton. My treatment room is in a private, warm and spacious loft conversion, with beautiful views over the Liverpool skyline. After a consultation, I invite you to lie comfortably on a massage table as instruments tuned to specific frequencies are played over and around the body to clear blockages in the energy field and restore the body to its natural state of harmony. 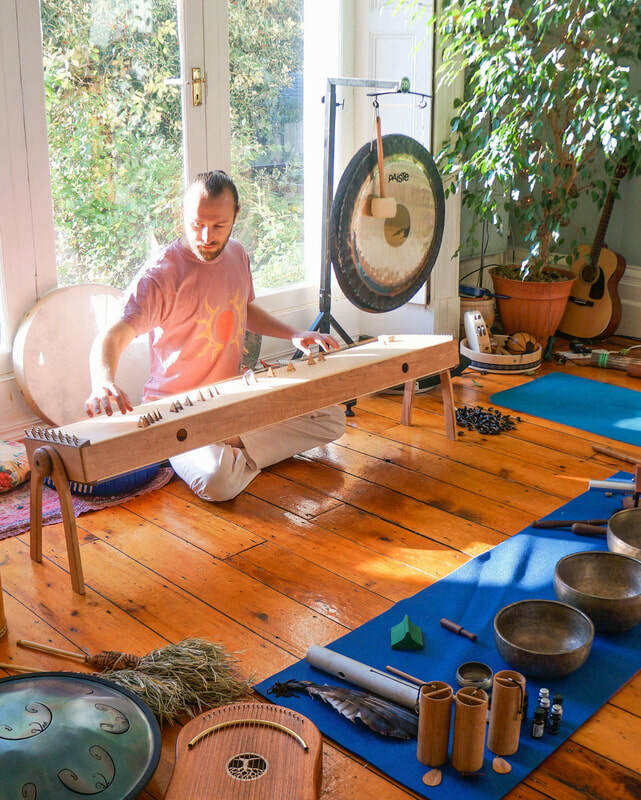 Treatments are deeply intuitive, nurturing and empowering, combining overtone singing with acoustic and sacred instruments from different cultures around the world. ​A cacao ceremony opens the door of the heart, allowing deep transformation. 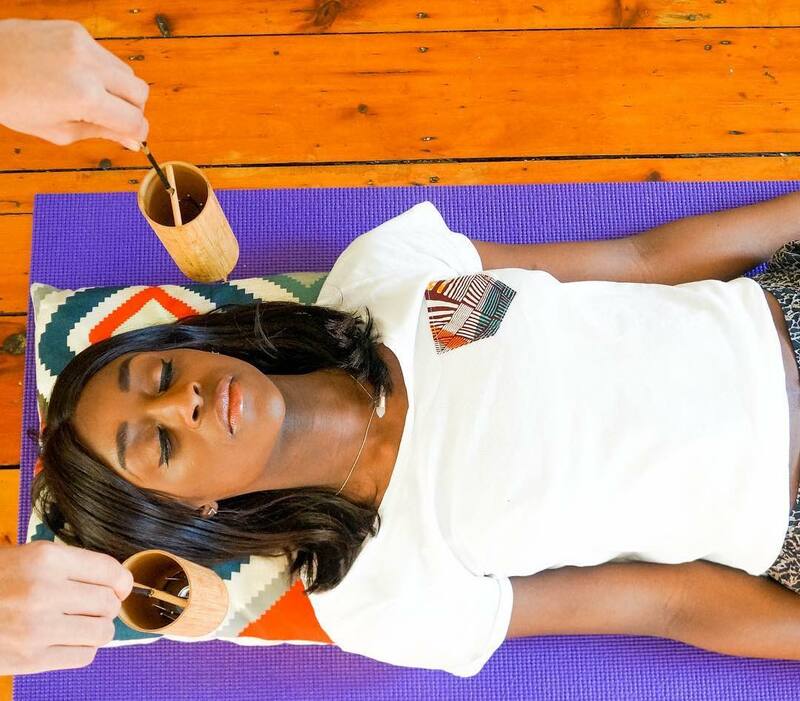 Whichever your path, the intention of the ceremony is yours to set, and, when called upon with reverence, the cacao deva aligns you with the insight and awareness required to move towards that shift. Whilst one-to-one treatments are tailored specifically to your needs, group sound journeys have unique benefits of their own. Just as listening to music can be an enriching solo experience, dancing with others to the same beat creates a palpable communal experience that can be exhilarating, ecstatic and cathartic. Comparably, in a group sound journey, we literally meet each other on the same wavelength: recorded EEG results show that brainwaves synchronise when meditating in this way. Building nests with pillows and blankets around a central altar, we prepare for group journeys by setting intentions and drifting into guided meditation. A shamanic sound journey through the elements begins, gliding through mystical scales, dissonance and resolution using a collection of sacred instruments from across the world.